Deltek Insight 2017 is fast approaching­! Have you made your plans to go? This year it will be in Nashville, Tennessee from October 23rd to 26th at the Gaylord Opryland Resort. If you aren’t yet convinced of why you should attend Deltek Insight, here’s a look at some reasons to make it worth your while. Deltek Vision can do more than most can even imagine. At Insight, there are numerous breakout sessions with Vision experts where you can learn tips and tricks that would otherwise remain undiscovered. Sessions are provided for Deltek Vision users of all skill levels from the novice to the expert Vision user. Sessions offer continuing education, provided by Vision experts, geared to increase your knowledge and ability to utilize Vision successfully. Full Sail Partners will have several of its own experts on-site leading sessions. Rana Blair will demonstrate capabilities available to on-the-go project managers by displaying how iAccess can help more effectively monitor projects. If concerned with the challenge of recruiting top talent, you can join Sarah Gonnella as she shows how you can improve your HR effectiveness by deploying marketing tactics. Check out the whole list of Full Sail Partners’ led sessions here. Insight is the largest gathering of Deltek users. Attending Insight you will have many opportunities to network with Vision users from around the world. You will be able to talk with others in your industry about common user issues. In these pleasant interactions, you may be given answers to problems you have encountered, or you may be able to provide feedback that you acquired in using Vision. Deltek Insight begins with a huge welcome reception giving attendees the ability to mingle while learning more about the planned events for Insight 2017. Attendees will enjoy delectable hors d’oeuvres provided by Deltek. The welcome reception is a great time for you to stop by our booth and see what we are doing to improve our customer experiences and help you get the most out of Vision. Insight 2017 also marks its 10th anniversary. At the Celebrate Insight event on the last night of the conference, LoCash will take the stage at the Grand Ole Opry. Attendees are never disappointed with the way that Deltek closes the action-packed week of networking and education. Between the food/dessert buffets and entertainment, this Insight event is sure to please. 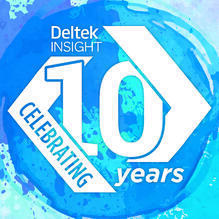 It should be pretty obvious now that Deltek Insight provides great benefit to you and your firm. From the networking to the learning experiences to the fun, it is worth the effort to attend.